Obituary for John William Hopkins | Fletcher Funeral & Cremation Services, P.A. John William Hopkins, 75, of Westminster, died Sunday, January 27, 2019 at the Dove House. Born July 25, 1943 in Hollywood Maryland, he was the son of the late William Edward Hopkins and Alberta Elizabeth Frampton Hopkins. He is survived by his loving wife of 54 years, Sue Ann Sanders Hopkins. John was a 1961 Graduate of Milford Mill High School, he then entered the Baltimore County Police Academy in December 1965, where he went on to earn an AA Degree in Law Enforcement at the Essex Community College in 1972. He retired from the Baltimore County Police Department after serving 26 years on the force and he served the last 6 years as the Detective Sergeant of the Homicide Division. He received several decorations and commendations during his career. He worked part-time at Villa Julie College and was a Bailiff at Carroll County District Court. He was a member of the Silver Run-Union Mills Lions Club, where he joined in April, 1990 with 13 years of Perfect Attendance. He held the offices of President, First Vice President, Second Vice President, Third Vice President, Secretary and Membership Chairman. District Governor from 2006 to 2007, Past Council Chair Lions Club of MD, PA and DE. from 2009 to 2010, District 22-W Region IV Chairman, Cabinet Treasurer, Membership Chairman for 3 years, Hearing and Speech for two years and Zone Chairman. Multiple District 22 Hearing and Speech Chairman from 1999 to 2001. He received many Lionism awards, International President’s Certificate of Appreciation, Leadership and Excellence Award, District Governor’s Outstanding Service Award and the Melvin Jones Fellow Award presented by the Club. He was also a member of many service organizations, Past Master of the Door to Virtue Masonic Lodge A F & A M #46, Westminster Elks Lodge #2277, Fraternal Order of Police #4 and the International Police Association. Besides his wife, he is survived by his two daughters Michele Lee Hopkins of Westminster and Kimberly Ann Hopkins Triplett and husband Larry of Elkridge; three grandchildren Megan Elizabeth Triplett, Sean Rowen Triplett and Jacob Edward Roberts. He is also survived by brothers James Davis Hopkins and wife Noela of Westminster and Thomas Edward Hopkins and wife Sally of Greenville, SC. The family will receive friends on Friday, February 1, 2019 from 2 to 4 and 6 to 8 p.m. at Fletcher Funeral & Cremation Services, 254 E. Main St., Westminster. 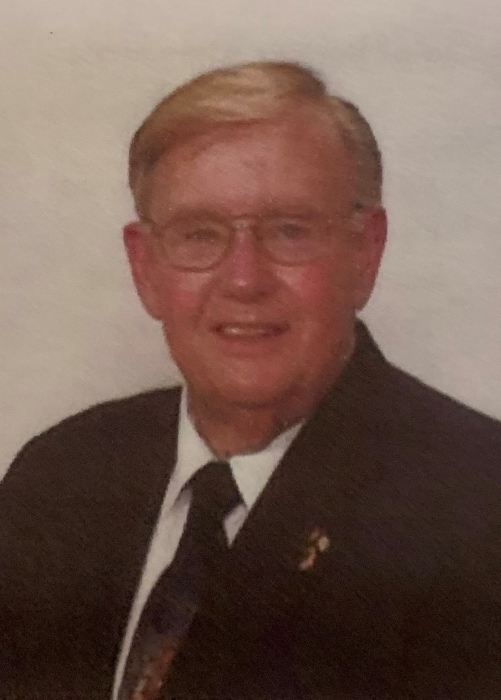 There will be a Lions Club service at 7:30 p.m. Friday evening, followed by a memorial service by Door to Virtue Masonic Lodge A F & A M #46 at 8 p.m.
Funeral services will be held on Saturday, February 2, 2019 at 11:00 a.m. at the funeral home. Interment will follow at St. Mary’s Cemetery in Silver Run. Memorial contributions may be made to Silver Run- Union Mills Lions Club, 1441 Mayberry Road, Westminster, MD 21158; Carroll Hospice 292 Stoner Ave., Westminster, MD 21157 or the Fraternal Order of Police #4, 9304 Harford Road, Baltimore, MD, 21234.